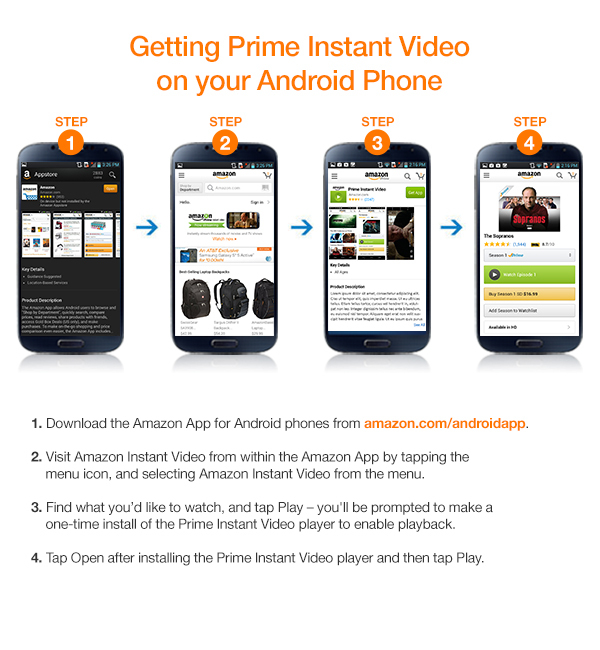 Did you know that you can watch Amazon Prime Video on your Android or iPhone? Yes. With the Amazon Video app, you can stream your favorite movies and tv shows. 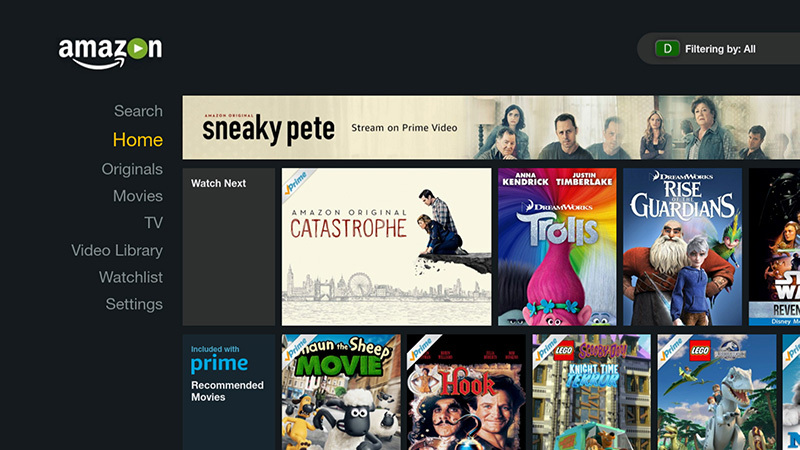 In this article, we discuss the various ways to watch Amazon Prime videos on your smartphone. Firstly, let’s explain two ways with which you can get Prime Video on Android. We start with the first method which involves the Google Play Store. Then, we discuss the second method which uses the Amazon Underground app. Firstly, open the Google Play Store App on your Android phone. Then, search for Amazon Prime Video (or click the link). Once found, click on Download/Install to get the Prime Video application on your Android smartphone. Once the app install completes, launch the app and sign in with your Amazon account. Disclaimer: You must sign up for Amazon Prime in order to enjoy Amazon Prime Video. The complete service costs $99 per year. However, it includes free 2-day shipping on Amazon purchases, free music streaming via Amazon Prime Music, and massive discount and deals on the Amazon store. Find out more information here. How Can I Install Google Chrome On My Kindle Fire? My YouTube Videos Load But Won’t Play. What Do I Do? How To Use YouTube Activation Code To Activate The App On My Smart Devices? What Are Some Silk Browser Alternatives For Kindle Fire? How Do I Uninstall Apps On Kindle Fire? In order to install the Amazon Underground App, you must first allow the “unknown sources” installation option on your Android phone. Here’s what to do. Then, tap on Security or Lock Screen And Security. Scroll till you see Unknown Sources. Tap the toggle or switch to enable it. After you complete the above, you can then install the Amazon Underground App. Firstly, go to Get Android Video (on your Android smartphone). Then, tap Get Amazon Underground. A warning appears telling you that such files may harm your smartphone. Click OK to bypass the warning. Once the download completes, click the file to install the app. Once the install completes, launch the app and sign in with your Amazon account. 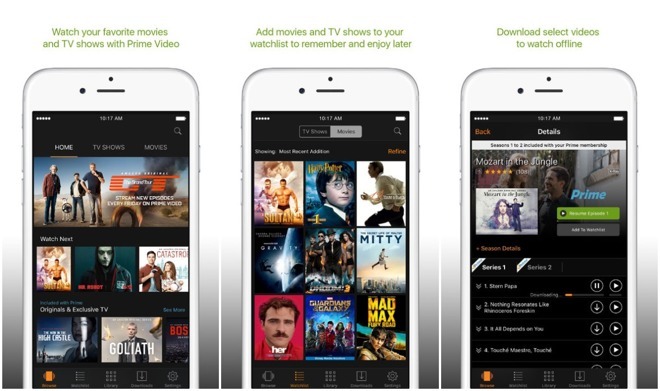 Watching Amazon Prime video on your iPhone is just as easy. All you need to do is download the Prime Video app from the iTunes Store or App Store on your iPhone. Firstly, open iTunes or the App Store. Then, search for Amazon Prime Video (click the link to go the app right away). Once there, select install/download to get the app on your iPhone or iPad. iPhone Not Charging – What To Do? My iPhone Does Not Charge – How Can I Fix It? iPhone Not Ringing? Here’s What To Do. Here’s How To Turn Off Ok Google.